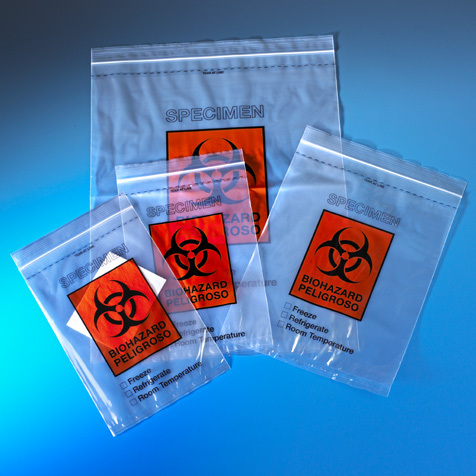 Globe Scientific's specimen transport bags are designed for the safe transportation of specimens and documentation. 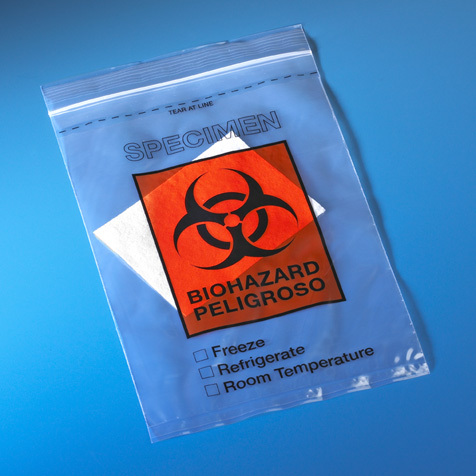 Each bag is printed with the biohazard symbol and offers checkmark boxes to indicate special handling instructions. 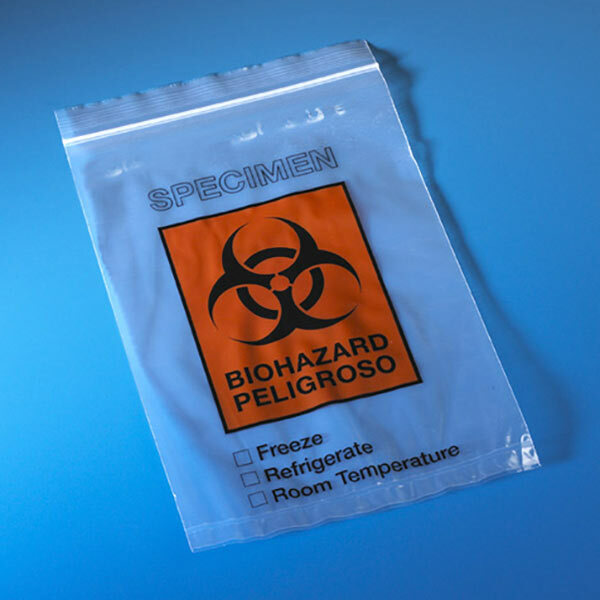 They feature an attached document pouch that keeps important paperwork safe. Custom printed bags and special sizes are available. Please contact our Sales Department for information.